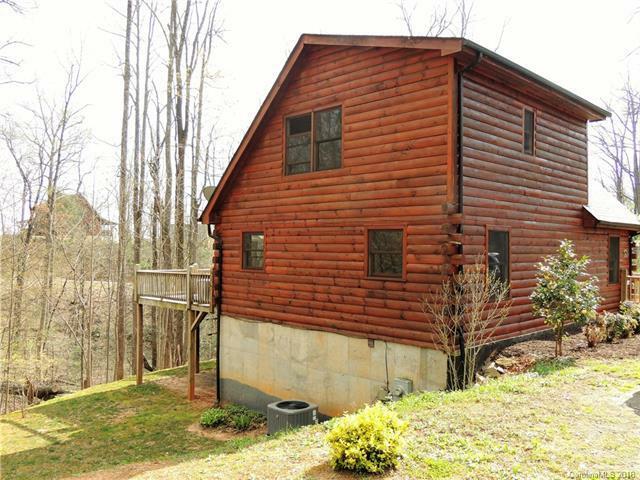 Beautiful Log Home nestled in the spectacular gated community of Grants Mountain. 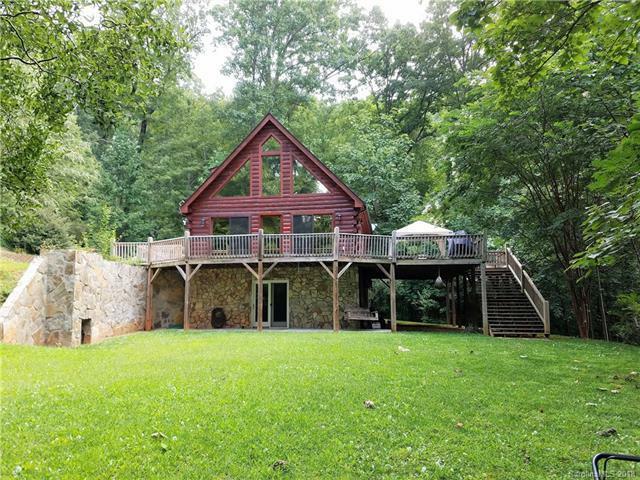 Well maintained home features a huge wrap around deck, perfect for entertaining or to relax and enjoy peace and serenity among the hardwood trees, mountain laurels and all things mother nature has to offer! 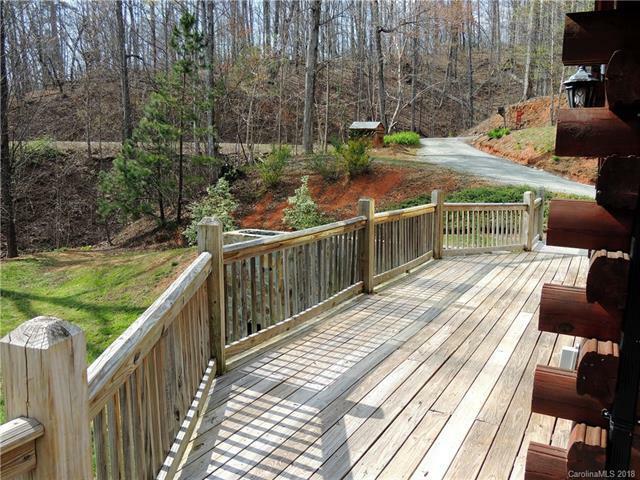 4 acres with plenty of level area for play or gardening, or build a workshop/garage. Private setting, yet so convenient to downtown shopping, restaurants, medical facilities and Interstate Access. 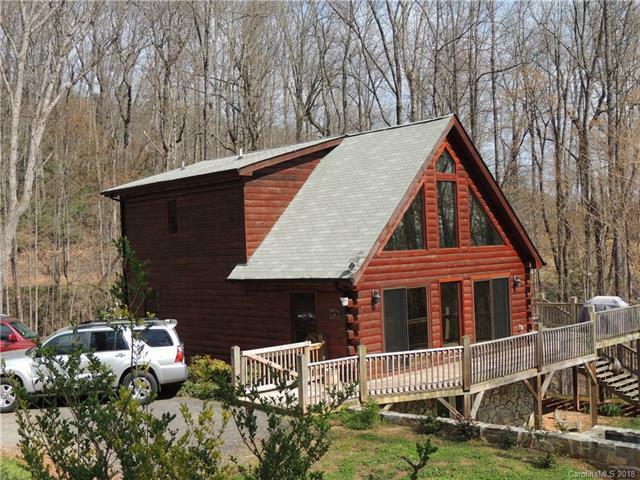 Would make a great investment property for short-term rental with Black Mountain, Asheville-Biltmore House, Lake Lure, Chimney Rock, Lake James, Grandfather Mountain, Blue Ridge Parkway, and so many popular places within 1 hours drive.... Low HOA fees.